This relatively minor legal skirmish has grown into a judicial nightmare and contributed to court backlogs that probably shouldn’t have taken more than a few months to resolve. But, it has turned into a protracted legal standoff that’s still ongoing today. Even the top court in the Canadian province has weighed in, saying in a recent ruling that the case has taken on a life of its own. It all started when the Neighbourhood Bookstore and Café was fined for not having a grease trap in its establishment. Grease interceptors prevent grease from entering the sewage system. But the café argued it didn’t generate enough grease to warrant having one. And so, the fight began. The story had a David and Goliath aspect to it. City officials, too inflexible to see past the strict interpretation of their bylaws, were cast as the villains. And the much-loved café was seen as the victim of an overzealous government bureaucracy. The story took several twists and turns over the years, with the city at one point giving the bookstore an exemption if it promised to use only disposable dishes and cutlery. The cafe appealed and lost. They closed, opened again and kept fighting. They eventually did install a grease trap. But last year they closed again, this time for good. 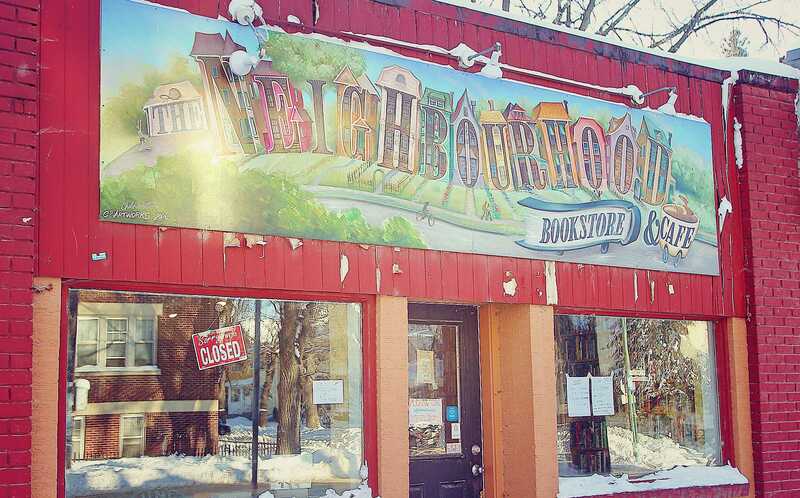 Throughout, though, the Neighbourhood Bookstore and Café remained locked in a seemingly endless legal battle with the city – appealing court rulings, defending conflict of interest accusations and fighting over court jurisdictions. It’s a legal war that continues today, five years after this tiny business was served with an offense notice under the city’s grease trap regulations in January of 2014. Part of that legal drama made it all the way to Manitoba’s Court of Appeal, which lamented in last month’s ruling how such a simple case could chew up so much court time. The latest development in the bookstore case arose when the city demanded that lawyer Markus Buchart, a former Manitoba Green Party leader, be removed as the café’s legal counsel because he’s a former city hall lawyer. Buchart worked for the city’s legal services department from 2009 to 2014 and was involved in prosecuting violations. Two months after he left the city, he started representing the bookstore, a move the city said put him in a conflict of interest. A provincial court judge agreed and ordered him removed from the case. The bookstore appealed to the Court of Queen’s Bench, which upheld the lower court’s “interlocutory” decision. But the café appealed again, this time to the top court, which also upheld the decision. Buchart argued the two convictions against the café should be quashed because a special constable delivered the original offense notices to the store’s owner. He said that renders the offenses invalid because, by law, only peace officers can issue offense notices, not special constables. The city claimed that Buchart was only aware of that legal loophole because he worked in the city’s legal department. The city filed affidavits that showed Buchart, while working for the city, took part in discussions and did research on the issue of whether special constables could legally issue offense notices. Who knew a fight over grease traps could take on such legal complexity? So Buchart was removed from the case and the top court dismissed the appeal. But the case, now going into its sixth year, is still ongoing and the convictions at hand still haven’t been resolved. All this over a grease trap. Is it the principle that really matters? Or at some point, does one need to cut their losses and move on with their lives? No one can answer that question for someone else, but the simple truth is that these types of grease trap ordinances aren’t going away. As more and more municipalities are being mandated by the EPA to implement best practices to keep grease and food solids from clogging their local sewer systems and as commercial garbage disposals are being banned across the country, wet waste collectors like The Drain Strainer provide solid protection against potential fines. Invented by a former restaurant owner, The Drain Strainer is an effective and affordable commercial garbage disposal alternative. Our food solids separator allows your sinks to still drain quickly while preventing food waste from clogging your pipes and grease trap.